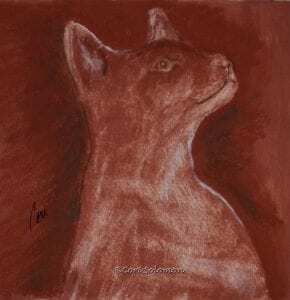 I used subtle variations of color to depict this red point Siamese cat in this hand pulled print. This artwork comes framed and matted. To purchase this Siamese Cat hand pulled print email Cori.